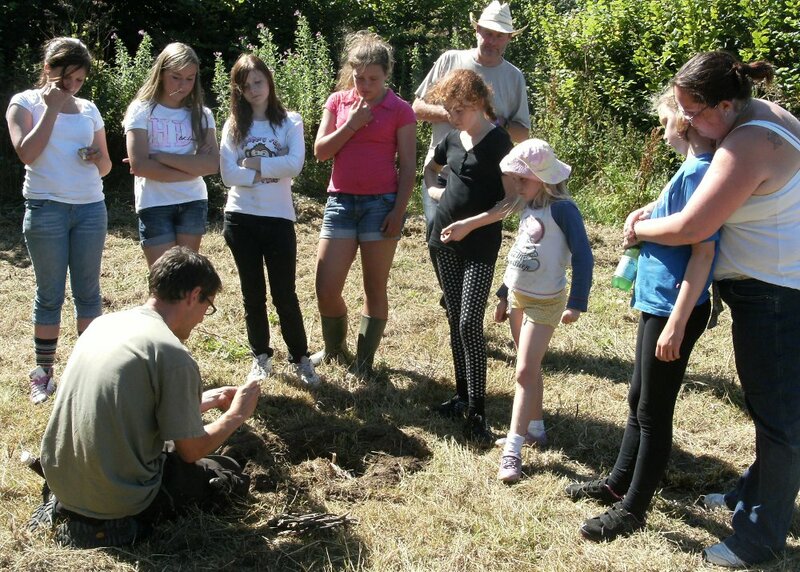 During the Summer holidays we were pleased to host at Plan-It Earth the Girls Go Wild! 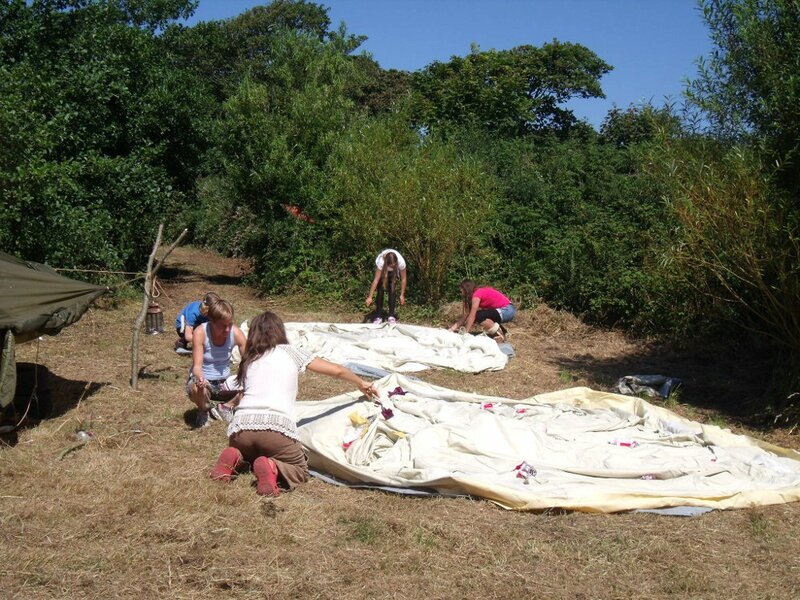 project, where 6 girls and their Mums were invited to take part in a 2-day camping and bushcraft adventure with loads of activities designed to increase participants confidence within the natural world, themselves and with each other. 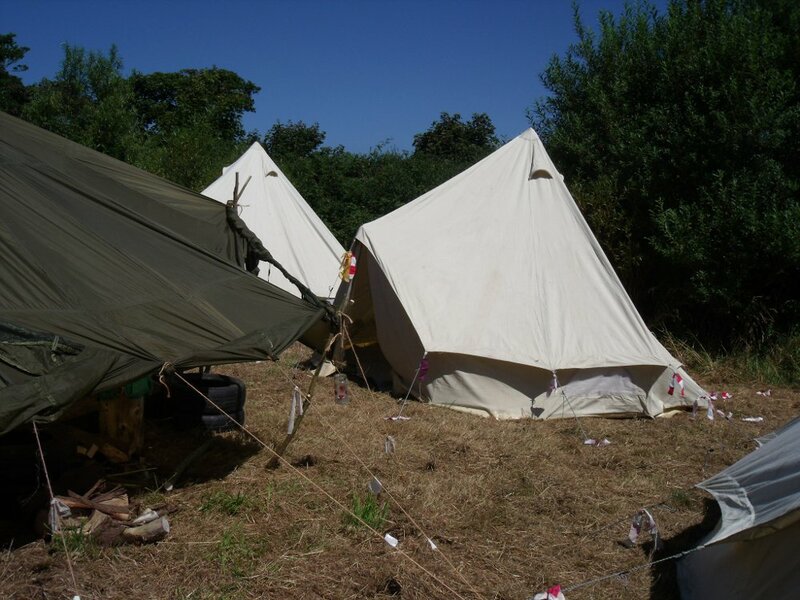 Setting up camp with Bell Tents. Wild Tea tasting with Netles, gorse flowers and Goosegrass. Preparing and cooking fresh mackerel. 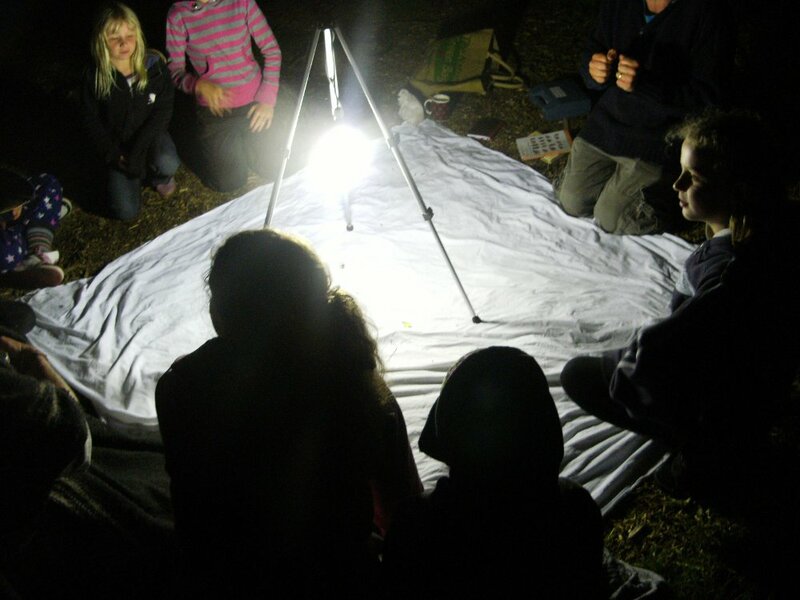 Night walk with bat detector and moth trap. 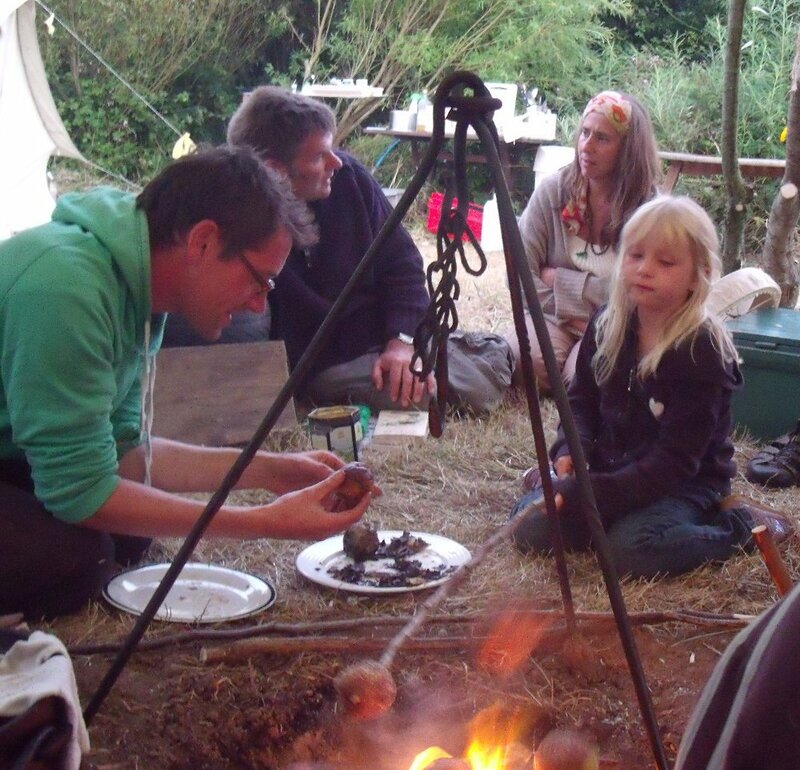 Making natural herbal remedies and beauty treatments. Wild Teas...Can you guess whats in them? A great few days with all participants getting something out of the experience that they can take back to their own lives. 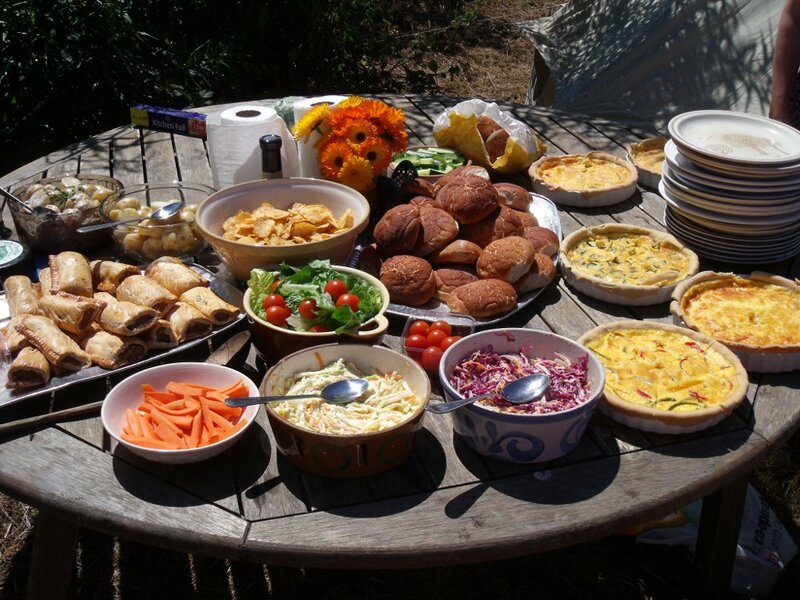 Many thanks to Rachel and David @ Plan-It Earth Eco project, Windrose for facilitating the herbal remedies and Julie for co-facilitating with me. 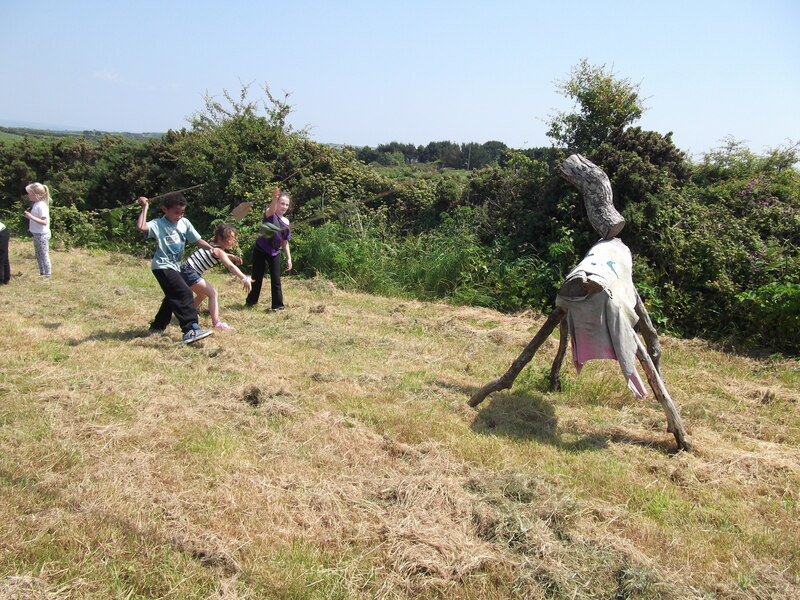 Another school holiday and the Survival School opens for St Ives ECM to come along and make our own throwing spears from card and garden canes, which then are used to hunt “The Beast”. Preparing to hunt "The Beast"
The Best is found. Aim! Fire! 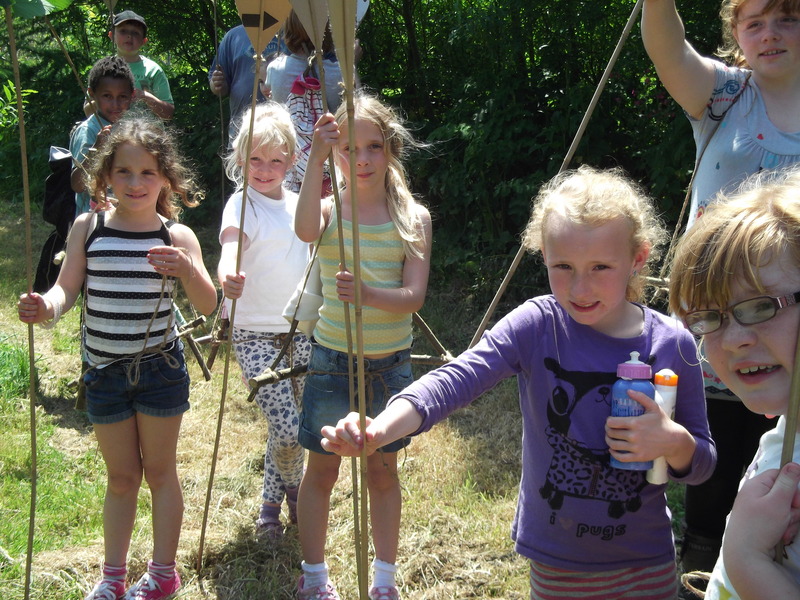 This game helps participants learn new knots, tying & lashing, adapting and modifying spear designs, tracking and moving quietly; as well as learning to throw a spear! 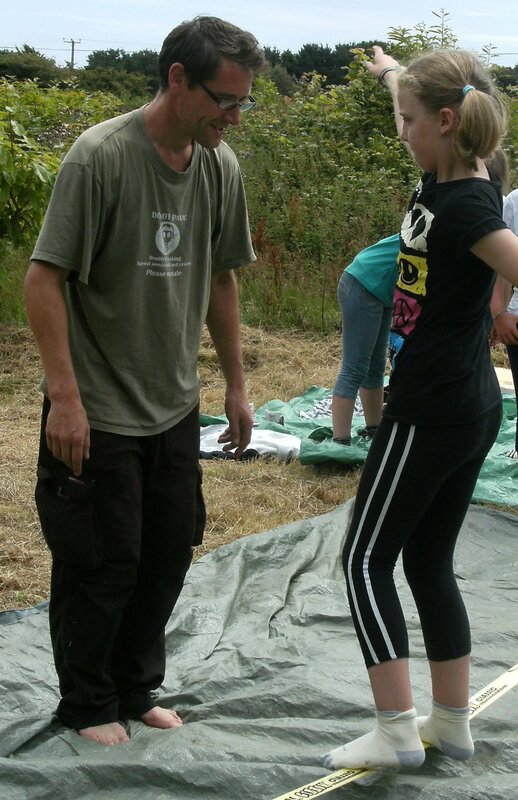 Another school holidy and another Survival School Day @ Plan-It Earth for St Ives Schools ECM. 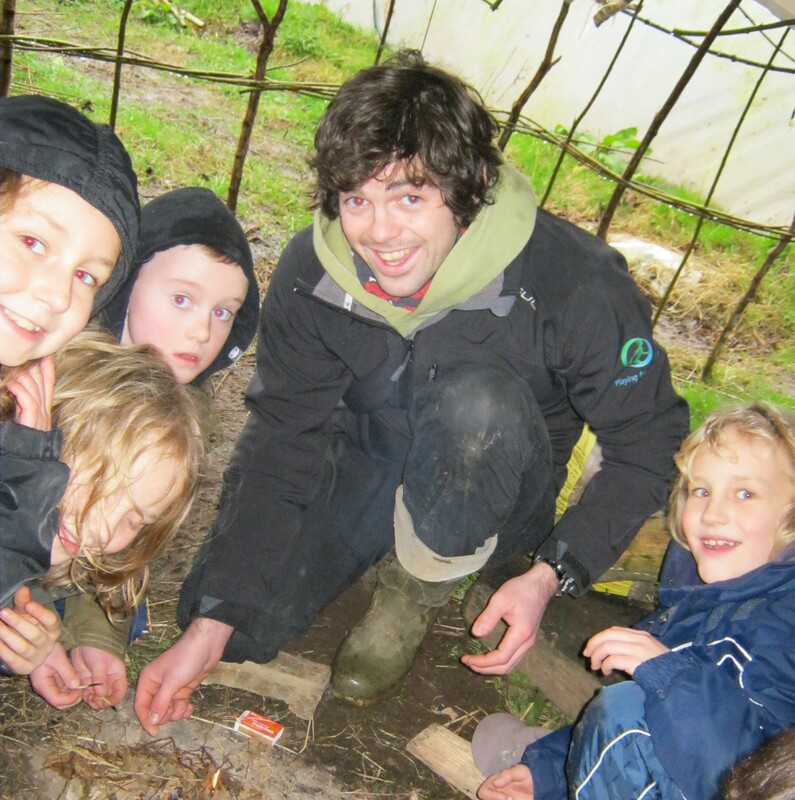 This time we were passing on safe use of knives to make thowing sticks which were then tested out on the “tin can alley”. Throwing the sticks on the range. 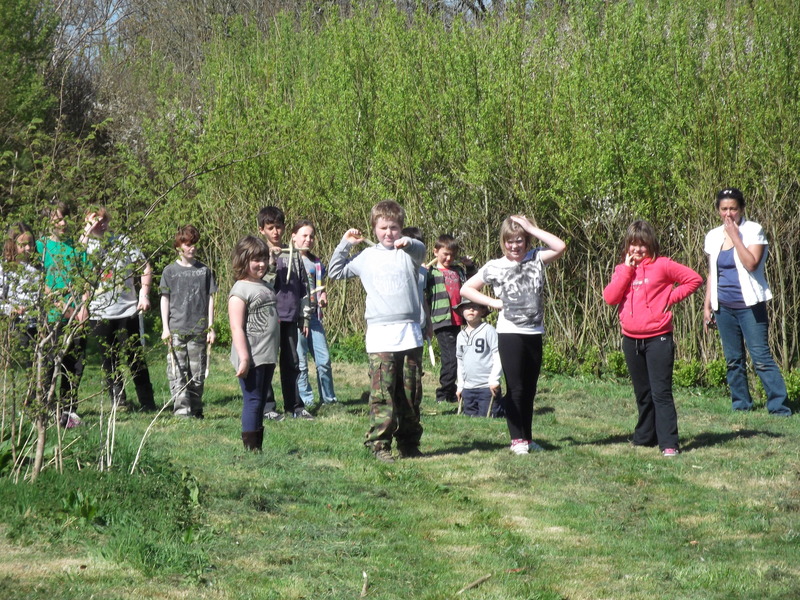 Lots of fun was had by all, blazing sunshine and some useful skills learnt. 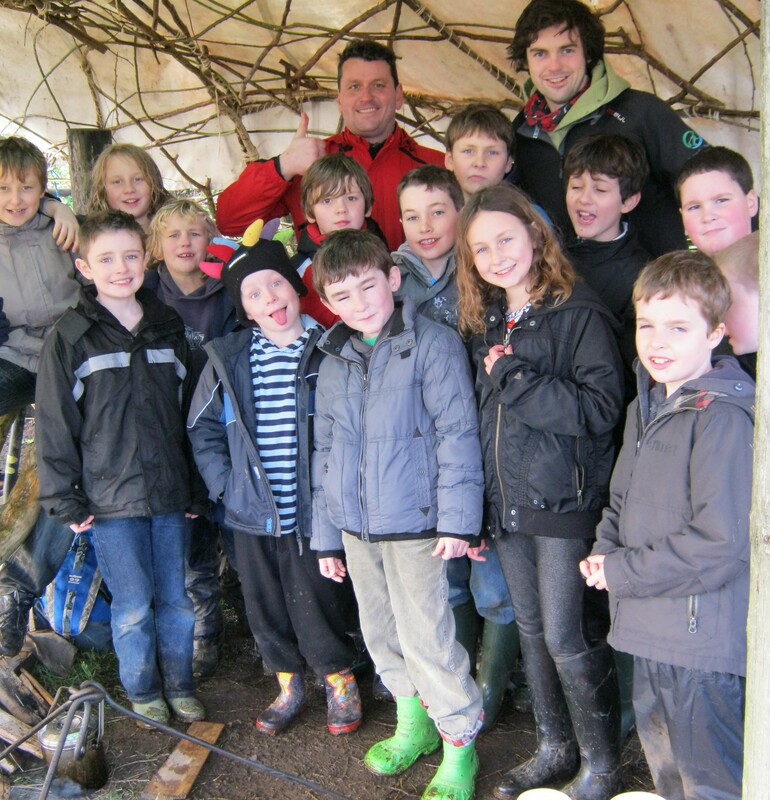 We were pleased to host another Bushcraft day for the pupils from St Ives E.C.M. schools cluster. What is clean water? Filtering dirty water, boiling clean water. 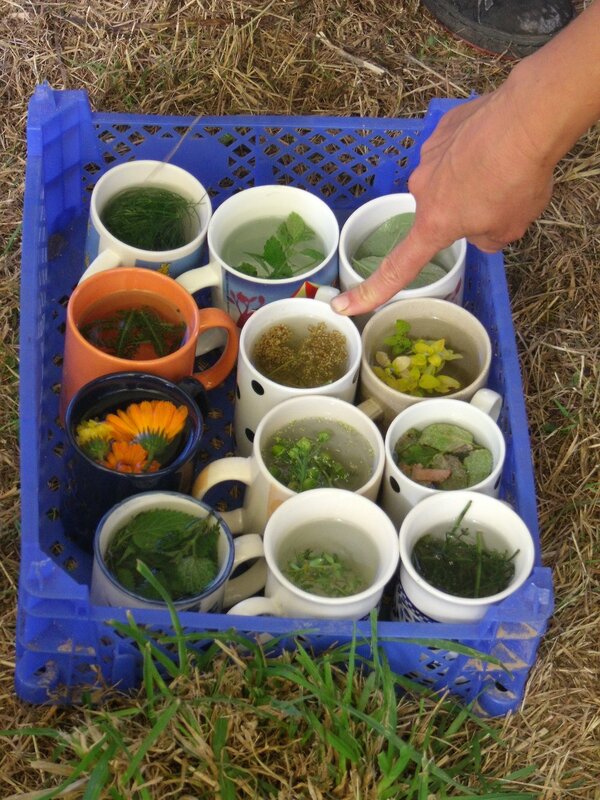 Wild food tea – Finding nettle, goosegrass, sorrel and gorseflower then back to camp for a taste test!! The weather on the day was atrocious! It poured down all day without even a break for 10 mins, but the kids were having a great time and coped amazingly well under difficult circumstances. Hooray! 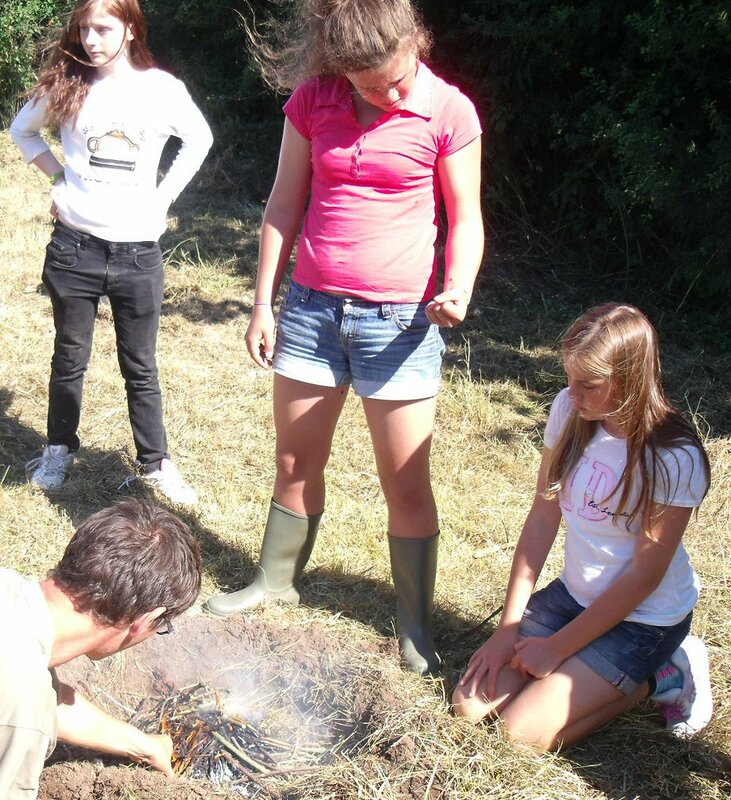 Successful and safe firelighting. 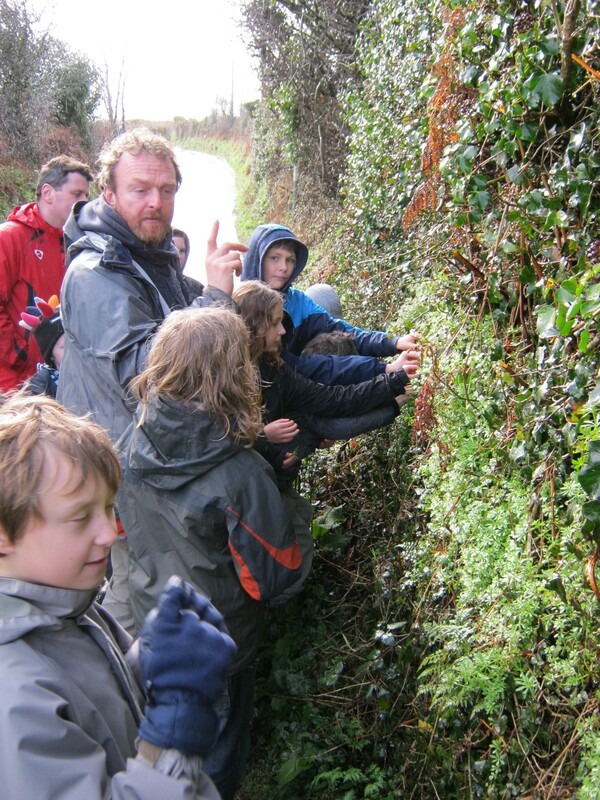 It was also decided that nettle was the most exciting tea, gorseflower the most colourful and also the best taste…well thats what the adults thought anyway!! You are currently browsing the Greg Humphries blog archives for April, 2012.